CM/ECF stands for Case Management/Electronic Case Files. This system allows users to access and file court documents 24 hours a day, 7 days a week. Q: What are electronic (ECF) cases? Electronic (or ECF) cases are those cases in which the court requires all filings to be made electronically over the internet. No paper filings are allowed in ECF cases. Q: Are there any fees to use CM/ECF system? There is no fee to file documents using the CM/ECF system. Access to view documents is available through PACER and the current fees for PACER usage will apply to documents and reports viewed through CM/ECF. For the latest PACER fee schedule, please click here. The court also has a public terminal in the Clerk's Office that is available for use free of charge. Attorneys are given one free look at documents filed electronically in their cases by viewing the document through the Notice of Electronic Filing delivered to the e-mail address(es) listed in the attorney's CM/ECF E-mail Information screen within 15 days of the file date. To get a PACER account, contact the PACER Service Center. Q: How long does it take to get a CM/ECF account? Once you satisfy the three requirements above, your account will be e-mailed to you within one business day. If you need your account right away to file a document, please call us at 866-784-6273 (toll free) or 202-357-6402 (local) (between 8:30 a.m. and 4:30 p.m. EST) and we will try to expedite the process. Q: What computer software is required to access CM/ECF? Q: Can I use my CM/ECF account from another court? No, each court maintains its own CM/ECF system and procedures. You must obtain a CM/ECF account for each court with which you will electronically file. Q: I have an account but I forgot my password. What do I do? Call us at 866-784-6273 (toll free) or 202-357-6402 (local) (between 8:30 a.m. and 4:30 p.m. EST) and we will e-mail you a new password right away. We will only send passwords to the primary address on the account and we will never give passwords over the phone. Q: How many accounts can our firm get? CM/ECF accounts are not issued by firm. Only one account is issued to each attorney who is a member of the court’s bar. No additional accounts for support staff will be issued. Q: I can't login. What's wrong? All logins and passwords are case sensitive. Make sure you do not have your caps lock on. Make sure you are using the correct password for your login ID. 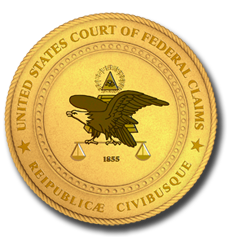 Make sure you are using the login ID and password for the U.S. Court of Federal Claims' system and not another court's. You may be trying to log in to the wrong system. Your login ID will only work in the LIVE system. To log in to the TRAIN system, you must use one of several generic IDs that you can find here. Make sure you are not using your login ID and password for PACER (PACER logins are 2 letters followed by 4 numbers). Q: How do I change my password after my account is created? Log in to your CM/ECF account. Go to Utilities > Maintain Your Account and click the Email information... button. Highlight the “*****” in the Password box and replace it with your new password. Be sure to follow the requirements for a proper password (a minimum of 8 characters, including one upper and one lower case letter and one digit or special character). Click the Return to Account Screen button, click the Submit button, and then click the additional Submit button. Q: How do I change/add additional e-mails? Log in to your CM/ECF account. Go to Utilities > Maintain Your Account and click the Email information… button. To change your primarily e-mail address, click on the primary e-mail address and below the Configuration options, replace the existing e-mail address with the new address. To add secondary e-mail addresses, click on add new e-mail address and add the new address in the box below the Configuration options. When finished, click the Return to Person Information Screen button, click the Submit button, and then click the additional Submit button. PDF stands for Portable Document Format. It is a universal file format that preserves the fonts, images, graphics, and layout of any source document, regardless of the application and platform used to create it. Q: Why am I required to use PDF? The court requires PDF because PDF files retain the original document format for all viewers regardless of the computer used and the files are easily read with a free Adobe viewer, an important factor in court documents, which must be identical and accessible for all parties. Word processing files do not satisfy this demand. Q: Are there any low-cost alternatives to PDF software? You are not required to purchase any specific software to create PDF files for CM/ECF. Although many people associate PDF with Adobe Acrobat, there are many vendors that make software to read and create PDF documents. There are also some free alternatives. Q: How do I get my document into PDF? There are two common methods for converting a document to PDF. The first is to convert the document electronically using PDF writing software. This is the fastest way to convert and gives you the smallest file size. The document must be available in an electronic format (word processed or on screen in some manner). Any PDF writing software will work. The second method is to scan the document. You should only use this method when you have a paper document only, with no electronic format available, as this process gives you a much larger file size. You will need a scanner and PDF software to use this method. We have a few recommendations when scanning to help you keep the file size as low as possible: (1) scan using black and white (not grayscale or color); (2)set your dpi (dots per inch) to 300; and (3) make sure you are scanning to PDF and not to TIFF or something else. Q: What is the file size limit? The file size limit does not refer to a page number limitation. It refers instead to the permitted number of megabytes in a single PDF file. For each filing, the main document and each attachment must be no more than 50MB in size. Q: My file is too big, what do I do? First, try to make the PDF file smaller. Most PDF software contains an optimization function that can reduce the overall size of a file -- often by more than half. If your PDF file still is too big to be filed as is, then you need to split the file into smaller parts or segments. The exact process will vary according to the software you are using. You can then attach all of these parts or segments when you submit your filing. When you file the document, you will attach File #1 as your main document and File #2 as an attachment to the motion. Q: I am trying to file a large number of attachments but am having trouble, what do I do? If you have a large group of documents to be filed, you may split the filing into multiple filings (e.g., Administrative Record Part 1, Administrative Record Part 2). Each filing must consist of a main document (e.g., Notice of Filing Administrative Record Part 1) and may include multiple attachments (including a description of what is contained in each attachment). When uploading the attachments, if you experience delays or failure, add fewer attachments to complete the filing and then include the remainder of the attachments in a supplemental filing (e.g., Notice of Filing Administrative Record Part 2). Please use the proper event when filing voluminous records (e.g., Administrative Record or Medical Records) instead of the generic Notice or Notice of Filing. Q: When I try to view or download multiple documents, I see a blank page with the words "Your download will begin in a separate window."? What should I do? At the top of your webpage you should see a message: "To help protect your security, Internet Explorer blocked this site from downloading files to your computer. Click here for options." (or something similar). Click on the message bar. This will allow you to view or download your files. Q: How should I redact my PDF file? The best way to ensure good redaction is to redact the original document prior to creating it as a PDF file. This way, the redacted text is never part of the PDF file and cannot be uncovered. There are also redaction features in some commercial PDF software. Additional information about redaction is available here. Q: Which rule covers electronic filing procedures? Appendix E addresses electronic filing. Q: Is it possible to correct a mistake after I have filed a document? Once you have hit the final Submit button in CM/ECF, your document is entered on the docket and served electronically. At this point, the document is part of the official record of the case and service cannot be modified. If you realize that you have made an error, call us for assistance at 866-784-6273 (toll free) or 202-357-6402 (local) (between 8:30 a.m. and 4:30 p.m. EST). The resolution will depend on the particular error. Q: How do I file a joint motion? You file a joint motion electronically the same way you file a joint motion in paper form. Either one counsel signs the document on behalf of opposing counsel pursuant to Rule 83.1(c)(2) or counsel sends a copy of the document to opposing counsel through e-mail for his or her signature and then converts the document into PDF. PLEASE DO NOT file two identical motions, one by each counsel. This does not comply with the court’s rules for a joint filing and creates unnecessary clutter on the docket which may then need to be resolved through an order of the court. Q: The document I am trying to file is too large to file in CM/ECF. What should I do? file the document in some other electronic format, such as a CD, DVD, or flash drive. Please note that any portable media submitted must use a Microsoft Windows compatible file system format and all files must be readable with standard PC office software such as Microsoft Office or Adobe Acrobat. Filings that require specialized hardware or software are not allowed without advance approval and accommodations. Q: I don't want to do electronic filing. How do I withdraw my case from ECF? Once a case has been designated an electronic (ECF) case, all filings must be made electronically. Withdrawal from ECF is only allowed under unusual and extreme circumstances and is solely at the discretion of the presiding judge. Q: Opposing counsel was not served electronically. What should I do? You are not responsible for service of an electronically filed document unless directed by court order to do so. If failure of service is the fault of opposing counsel, it is opposing counsel’s responsibility to obtain a copy of the document through PACER. If failure of service is due to a technical problem at the court, then the court will serve an electronic and/or paper copy of the document on the appropriate counsel. Q: I experienced technical problems that prevented me from meeting a filing deadline. What should I do? file a motion for extension of time out of time explaining the situation. You MAY NOT file a paper version of the document. If you need further assistance, please call us at 866-784-6273 (toll free) or 202-357-6402 (local) (between 8:30 a.m. and 4:30 p.m. EST). Q: How do I sign for another attorney? You sign for another attorney electronically the same way you sign for another attorney in paper cases. Pursuant to Rule 83.1(c)(2), you may sign for another attorney by signing his or her name ("s/[attorney’s name]") followed by your name ("by s/[your name]"). For example: s/John Doe by s/Jane Doe. Just remember to add the "s/" prior to both names. Q: I am trying to file a document but I keep getting this error message: "ERROR: Document is not a well-formed PDF document." What should I do? This error message appears when you are trying to attach a document in the CM/ECF system that is not a PDF file . Only PDF files may be filed through CM/ECF. You will need to go to the source document and convert it into PDF before you can proceed with filing. Q: I do not see a link to a document on the docket sheet. What does this mean? The case may be a paper case. If the document numbers on the docket sheet are not blue hyperlinks (like this: 3), then the document is not available electronically. For more information about obtaining copies of paper documents, please call us at 866-784-6273 (toll free) or 202-357-6402 (local) (between 8:30 a.m. and 4:30 p.m. EST). The document may be restricted due to a protective order, in which case you will get a message that states "You do not have permission to view this document." Q: Why am I not getting an e-mail notification of filings in my case? You have not registered for a CM/ECF account. You cannot receive electronic notifications if you do not have a CM/ECF account. You have edited your notification list in your e-mail information to notify you of filings in certain case numbers only. You need to keep this list up to date with new cases if you have chosen to change this from our default settings (all cases in which you are a participant). Q: The system keeps kicking me out when I try to file. Every time I try to log in, it says that I am already logged in. When I click the button to continue, it sends me back to the login screen. What should I do? This can happen if your browser cache is not updating properly. Most browsers have a setting to control how often the browser refreshes the cached version of the page. Setting the browser to check every time is usually the best option. Q: What are the ECF attorney rules for viewing sealed documents? First, an attorney must have an ECF account to view sealed documents. The attorney must also be the attorney of record for an active party in the case. When an attorney attempts to open a sealed document, he or she will be presented with a login screen. The attorney’s CM/ECF login MUST be entered here, NOT the attorney’s PACER login. Access to sealed documents through CM/ECF is granted only to the attorneys of record. CM/ECF will only grant access to sealed documents after verifying the attorneys’ CM/ECF login credentials.